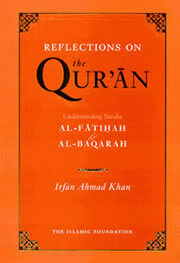 “The Qur’anic and Survivalist’s Concerns.” Dr. Irfan A. Khan. Insight vol. 10 Issue 1, pp 5-7, Australia, 1995. 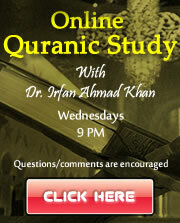 Posted in Articles	| Comments Off on “The Qur’anic and Survivalist’s Concerns.” Dr. Irfan A. Khan. Insight vol. 10 Issue 1, pp 5-7, Australia, 1995. “Authenticity and Development in Islamic Thought.” Dr. Irfan A. Khan. International Journal of Islamic and Arabic Studies, Bloomington, IN, 4(2): 31-47, 1987. Posted in Articles	| Comments Off on “Authenticity and Development in Islamic Thought.” Dr. Irfan A. Khan. International Journal of Islamic and Arabic Studies, Bloomington, IN, 4(2): 31-47, 1987. 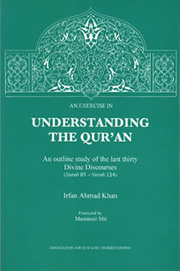 © 2010 Association of Quranic Understanding. All rights reserved.